The only problem with classic books is that they’re over way too soon. You could carry on reading forever, but oh no – you’ve hit the last page. So isn’t it lucky that a bunch of today’s authors have found a cool solution for this dilemma: writing gorgeous new sequels to the world’s most timeless children’s novels. Now you can finally find out what happened next! 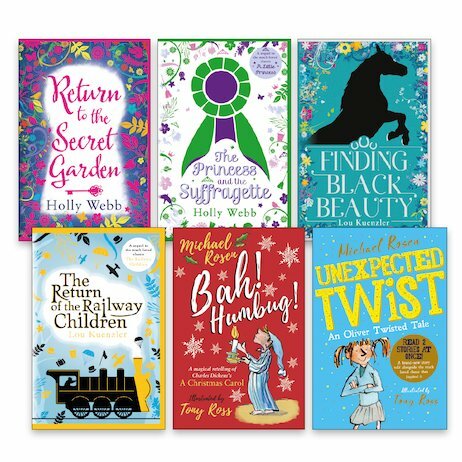 In this lovely pack you’ll find six recent sequels to classics like Black Beauty and The Secret Garden, written by celebrated writers including Holly Webb and Michael Rosen. Seriously: could there even be a better excuse to curl up and lose yourself in a quality book?